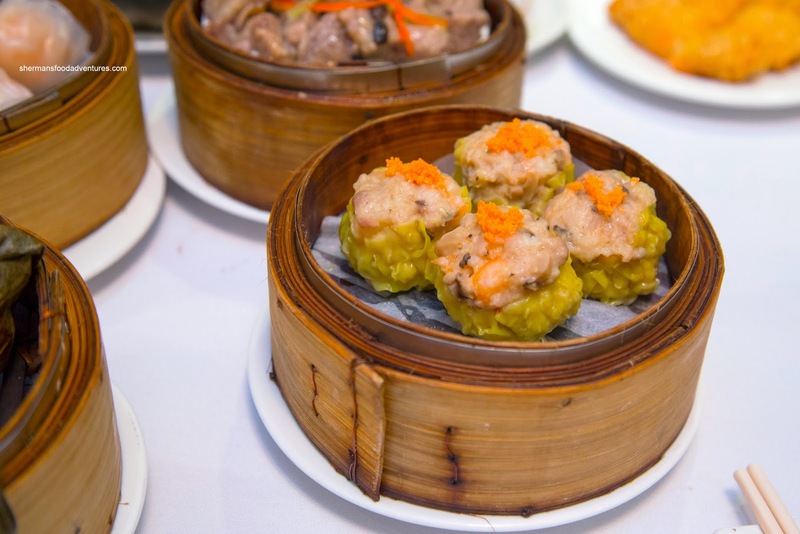 Back in my pre-University years, we lived in Oakridge where there were only a few options for Dim Sum. One would be Miramar out in Kerrisdale (where Golden Ocean now stands) and the other is where Grand Honour now resides. After the closing of Nong, Grand Honour moved a couple of stores down to occupy the dark basement floor restaurant devoid of any natural light. Yes, not the most sexiest of locations in my opinion. In my never-ending quest to hit every Dim Sum joint in the GVRD, the family including grandparents descended (literally) to Grand Honour. The first thing we noticed was the indifference with one of the managers. 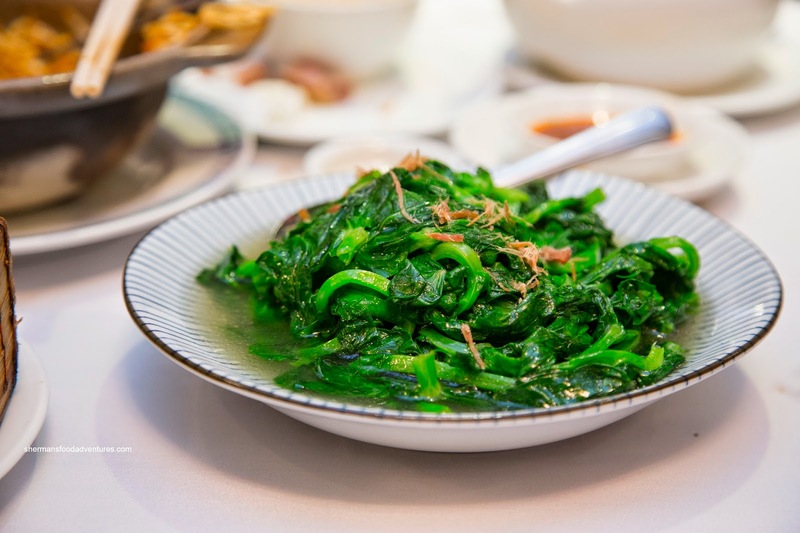 This was confirmed when he accidentally brought us a plate of gai lan (when we had actually ordered pea shoots). He merely took it off our table violently without a word and proceeded to plop it onto the table next to us in an annoyed fashion. And to top things off, when we finally got in a word with him, he insisted the order was correct and we'd be getting our pea shoots. In actuality, it took several reminders and we got it as our last dish much later... Yes, he was giving us lip service. My thoughts? If you can't stand your job, don't take it out on the customer. Just sayin'. Oh as for the Pea Shoots, they were tender with a residual crunch where it was mildly seasoned with a touch of natural sweetness. For the kiddies, they were happy to see the Lo Mei Gai (Sticky Rice). We found it to be rather bland where the rice was chewy and dry. In fact, the sliced meat was quite dry too, but there was lots of it. 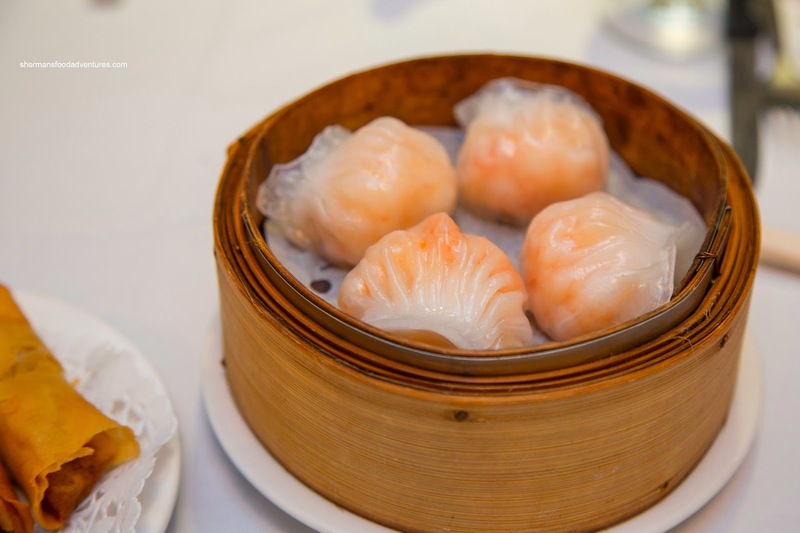 Onto the most important dish for a Dim Sum service, we had the Haw Gow (Shrimp Dumplings). These featured a thin elastic skin which was translucent where we could see the colour of the shrimp. As for that shrimp, there was lots of it where they were in whole pieces exhibiting a buttery snap. Although there was a wealth of salty and sweet elements, there wasn't any hint of sesame oil nor white pepper. 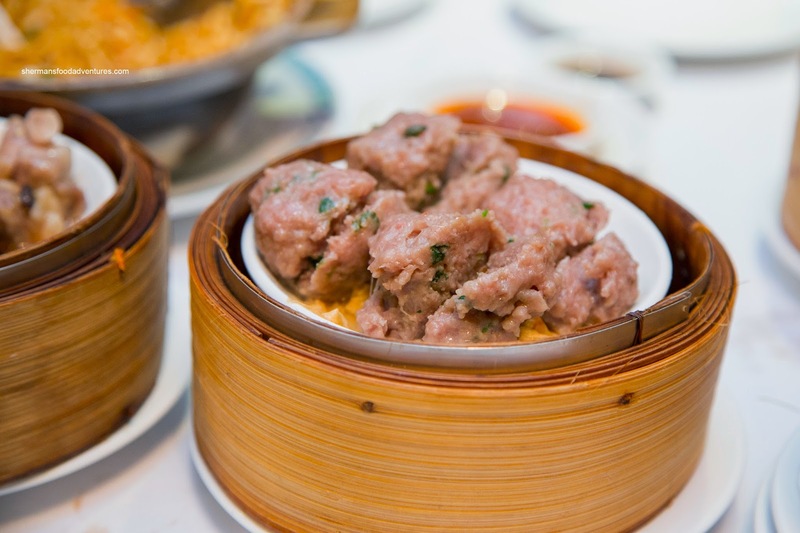 As for the Sui Mai (Pork & Shrimp Dumpling), they were large with firm chunks of meat. Although meaty in texture, there was some hint of rebound and bite. The plethora of shrimp and mushroom ensured there was a variation of flavours and textures, yet we got mostly an overwhelming amount of salt instead. Much like the haw gow, the whole shrimp were large and appealing in texture. 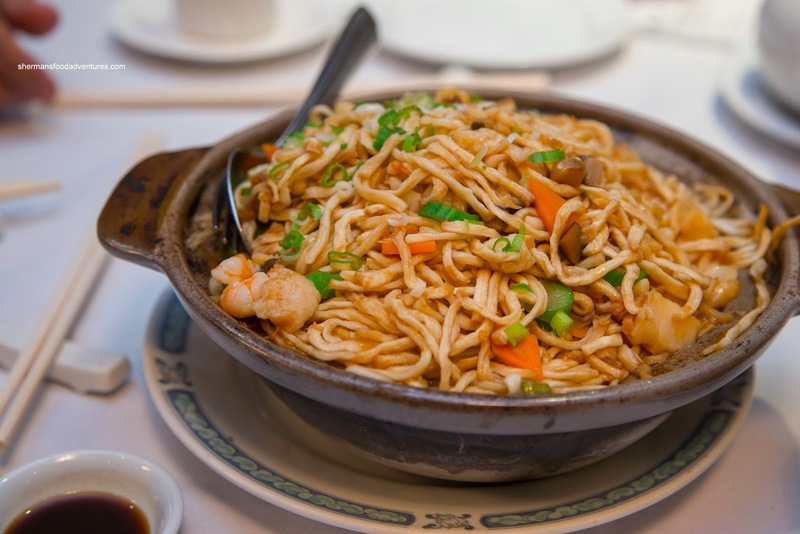 Moving onto a larger dish, we tried the Seafood Yee Mein served in a hot pot. This was reminiscent to the one we had at Peninsula except less expensive. We found the noodles to have a chewy texture while still soft. There wasn't a whole lot of residual moisture which meant there was also a nice caramelization of flavours, especially from the dark soy. There was only a modest amount of seafood where the shrimp and scallop were sweet while the dried scallop added both aroma and some texture. We liked how the vegetables remained crunchy, but the chunks of fish were not fresh tasting though. The kiddies helped devour the BBQ Pork Buns which featured a fluffy exterior that was not too dry nor wet. 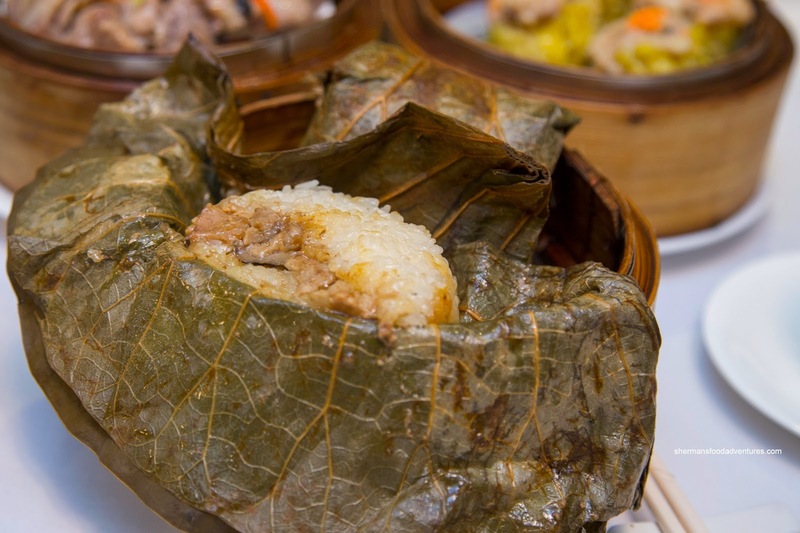 The meaty filling was a good balance between sweet and salty where it was easy on the fat. 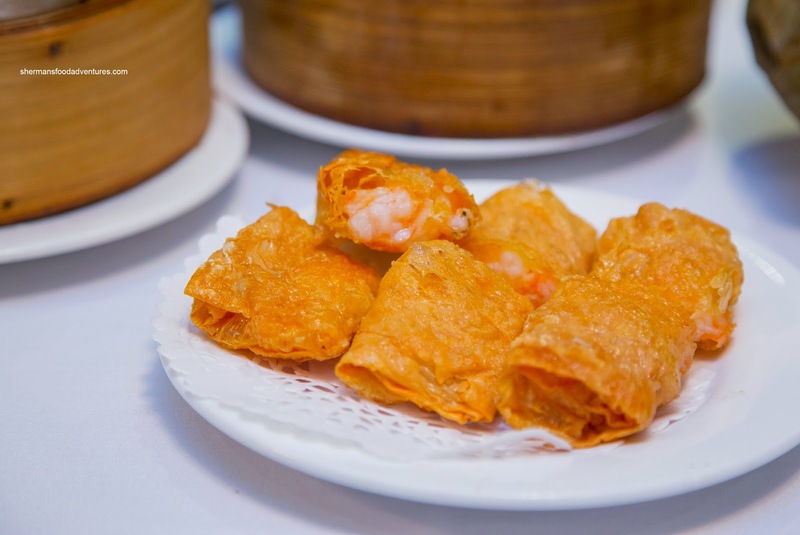 Moving onto the Shrimp Bean Curd Skin Rolls, these were fried up crispy, but the exterior was far too chewy and not light. Inside, the whole shrimp were overcooked being rubbery and lacking in snap. Although it appeared the frying oil was hot enough, the grease retention was pretty significant. Each piece was literally dripping with oil as we picked them up. Furthermore, the whole thing was far too salty where we could not taste the shrimp itself. 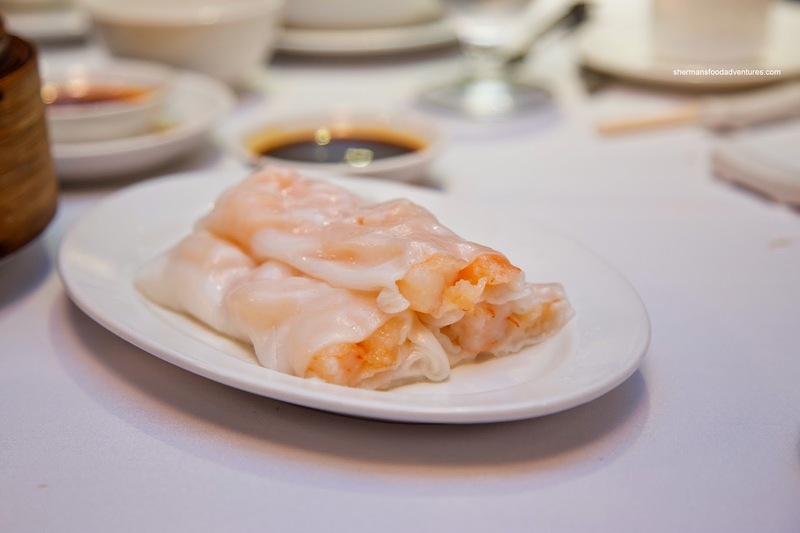 Sticking with the same theme, we had the Shrimp Rice Noodle Rolls which featured floury rice noodles. Inside, the whole shrimp were cold and did not heat up even with the freshly made rice flour noodles. Moreover, the shrimp didn't exhibit much snap or flavour. 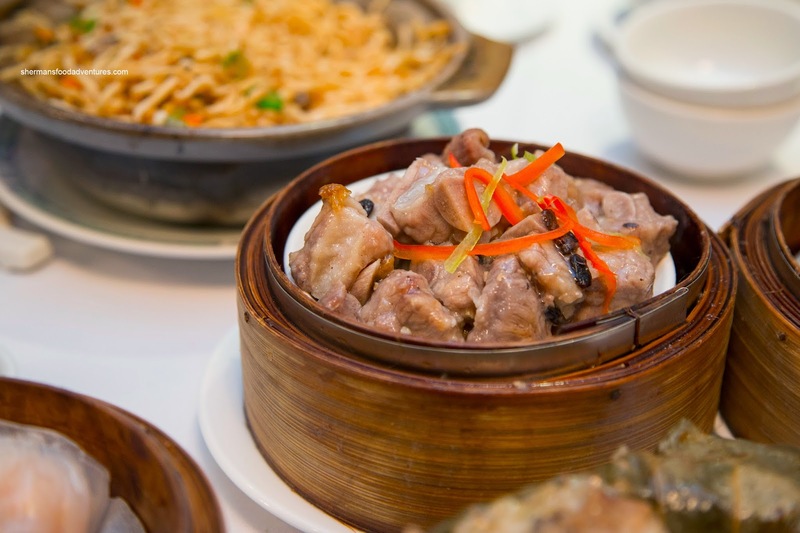 As usual, we got the Black Bean Spareribs which looked impressive with big meaty pieces. After a few pieces, it was confirmed that the ribs were in fact meaty with very little fat and cartilage. The texture was on point with an appealing chew that rebounded. However, there was a complete lack of seasoning where the natural pork flavour was dominant. Next up, we had the Beef Meatballs that exhibited a light bounce texture. Hence, it was on the softer, airier side. It was well-seasoned though with a balance of flavours including a proper amount of greens that didn't detract from the beef. 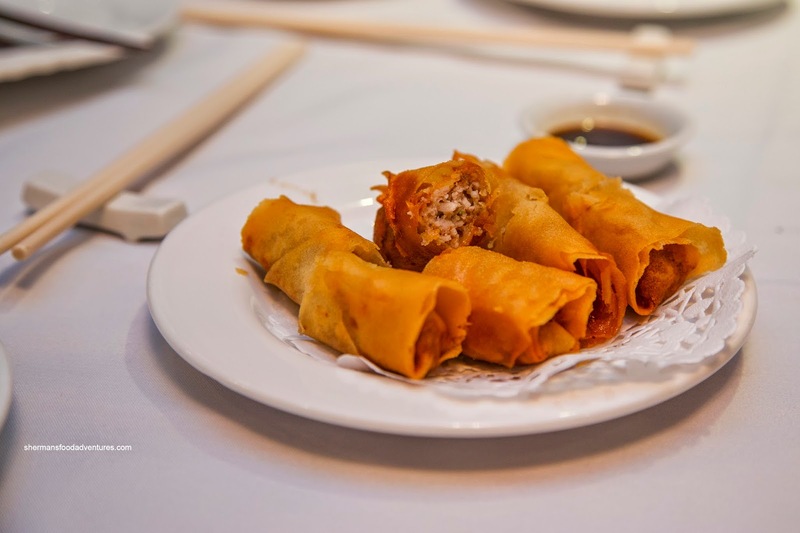 Since there weren't any shrimp spring rolls, we had to resort to the Taro Spring Rolls. Despite the fact my son loves fried taro dumplings and taro pudding cake, he rejected these ones. I had to agree because the filling was dry and mealy (not exactly something I would use in this case). At the very least, the rolls were crunchy though as there was little moisture to soften them up. 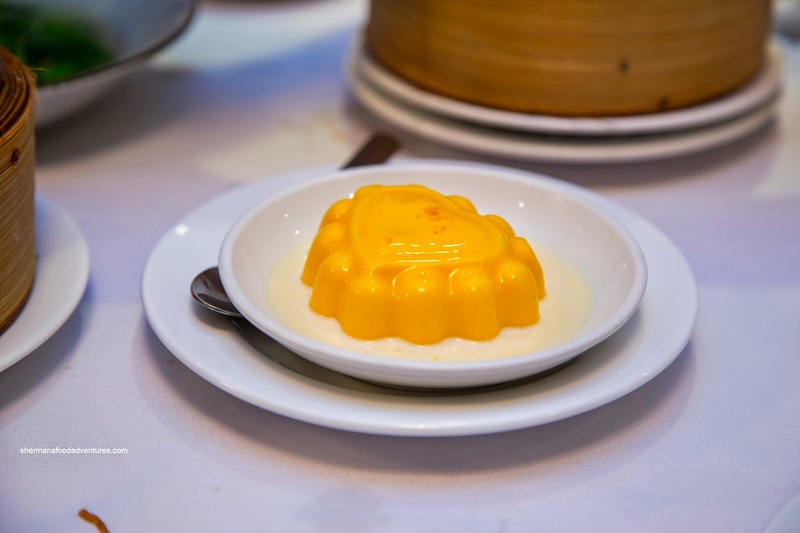 For dessert, we got the classic Mango Pudding in a heart-shaped mold. Other than some bits of mango, this was pretty typical with mild flavours and a jello-like consistency. 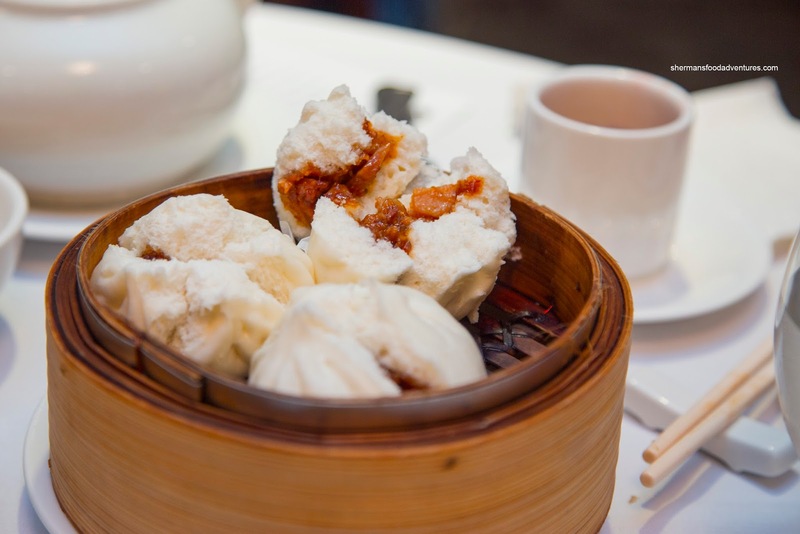 Consistency would not be the operative word when it comes to describing the Dim Sum service at Grand Honour though. Although there were some highlights, the food was a bit hit and miss. Prices were high, but not Peninsula high at least. 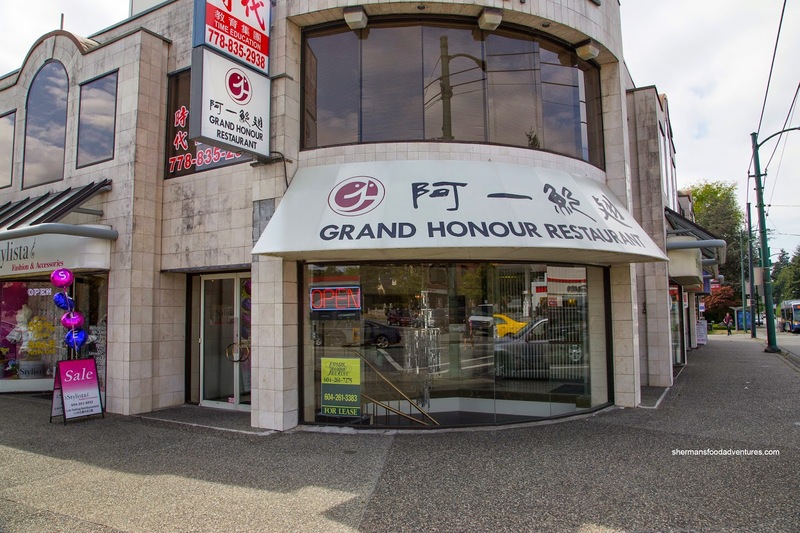 In that case, Grand Honour makes a good alternative if you were in the area.